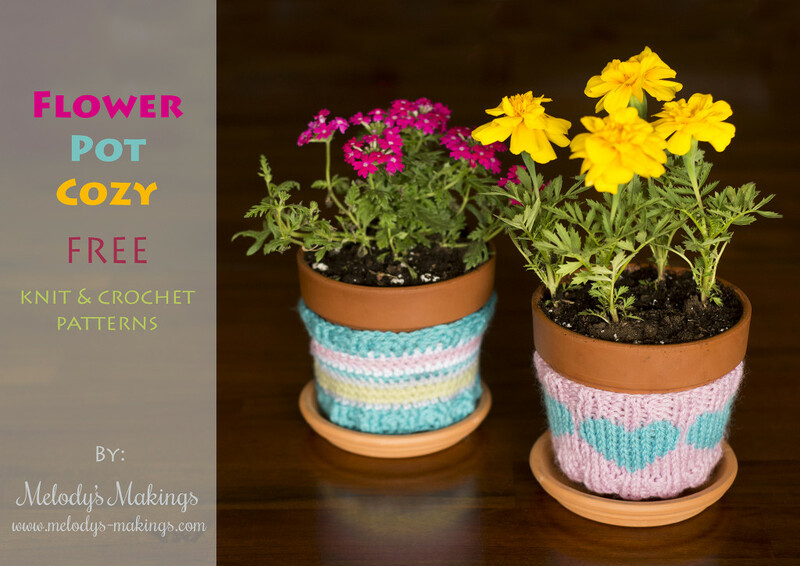 Free Flower Pot Cozy Patterns! Once a mother, always a mother, right!? We all know that mothers love hand-made gifts. So make your Mom something quick (it took me under two hours to whip these two out), cute (I love matching colors and flowers), and cheap (these cost approx. $6.00!) for Mother’s Day this year. Grab your hooks or needles – it’s time to get your knit or crochet on and make one very happy mom using these free Flower Pot Cozy patterns. The Striped Crochet Flower Pot Cozy Pattern calls for worsted (4) weight yarn and size 5.5mm (I/9) crochet hook (or whatever size is needed to obtain gauge). Get the free pattern by clicking here! The Heart Knit Flower Pot Cozy Pattern calls for worsted (4) weight yarn and size 5.5mm (US9) Double Pointed Knitting Needles or use the Magic Loop Method (or whatever size is needed to obatin gauge. Download the free pattern by clicking here! Thank you for these lovely patterns!! I loved your email today. You are absolutely right! Once a mother ALWAYS a mother. My oldest (of four) is well into her 40’s – and we are so very close – even though we literally live on opposite coasts of the U.S.! And I wouldn’t have it any other way! I cannot imagine my life without all four of them. They are a very important part of my life – of my very soul. And I love them dearly – along with my seven grandchildren. Motherhood is THE most important job any woman can ever do. Don’t let anyone tell you otherwise. I’ve heard some (esp. in the media) disparaging “stay at home Moms” as if they “don’t work”! Really? I’d like to see any one of them keeping up with any Mom. Congratulations to ALL Moms. There is nothing like the love between Mom and her children. NOTHING! Thank you very much for the heart cozy. Beautiful pattern wish my mom was still here with me. 10 years ago I celebrated mother’s day for the last time with my mom. She passed away less than a month later. For all of you who still have your mom make sure you make this mothers day a special one. These are so pretty. My daughter would love them for her plants and my granddaughter is practicing knitting along with me.My mama has been gone since 1983,I was 22 ,and one thing she taught me was knitting and crochet sewing…the list goes on.I feel its a blessing to have these wonderful talents passed on to our family.Thank you for sharing. 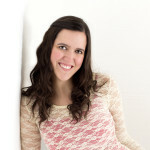 Looking at your free patterns Melody and this one is a sweet surprise! I also lost my Mom last Christmas, and this would of been a sweet gift for her. I sure can use this many times over! Yay! So glad you’ll be able to use it! Enjoy! Love this free pattern, and will certainly give it a go in near future, unwell at present. Love this! Is the pattern available in crochet? I could probably figure it out, but a pattern I could keep in my binder.